Fresh organic foods are a great way to start your day. GMO foods compared to organic foods has a lot of conversation. It is true the vitamins maybe the same, but the phytonutrients are not. Phytonutrients are produced in the vegetable or fruit to combat insects and infections, the more phytonutrients the better. Plant foods contain thousands of natural chemicals. As we noted they are called phytonutrients or phytochemicals.”Phyto” refers to the Greek word for plant. These chemicals help protect plants from germs, fungi, bugs, and other threats. But genetically modified plants have been compromised. How? With glyphosate engineered into the seed, the plant has no reason to fight of infections, and insects. In turn, the plant becomes lazy so to speak, and the phytonutrient production in the plant is much less, meaning less nutrients. There are more than 25,000 phytonutrients found in plant foods. When you eat or drink phytonutrients, they help prevent disease and keep your body working properly. These nutrients act as antioxidants in your body, meaning they tackle harmful free radicals that damage tissues throughout your body. GMO foods compare to non gmo have much less antioxidant abilities. It only makes since to eat all natural non gmo foods, that have been seeded, grown and harvested organically. To learn more about glyphosate link here to read, What Do You Believe About Glyphosate. 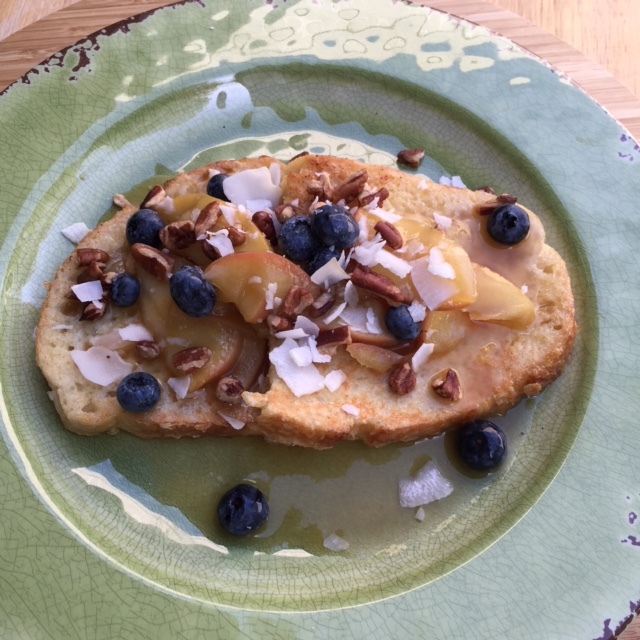 Now for our featured recipe: Apple-Berry Topped Sourdough French Toast. Core one apple, leaving skin on and add slices to a Nutri-Bullet, food processor, or blender. Add the coconut water and processes. Next, over a medium sauce pot strain the pureed apple. Once the juice has drained, save the puree in a glass bowl. Add some lemon juice, and coconut sugar, and you have fresh homemade applesauce. Save in the refrigerator and eat within 3 days. With the other apple, leaving skin, core, remove seeds, and slice thick pieces into thin slices. Add apple slices to the sauce pot. Bring apple slices to a soft boil. Next, add tapioca-root to a little water, and stir into sauce pot. Continue stirring until juice thinks some. Do not over boil the tapioca, as it can loss its thickening ability. Next add coconut sugar and stir in until well combined. Remove from heat and set aside. 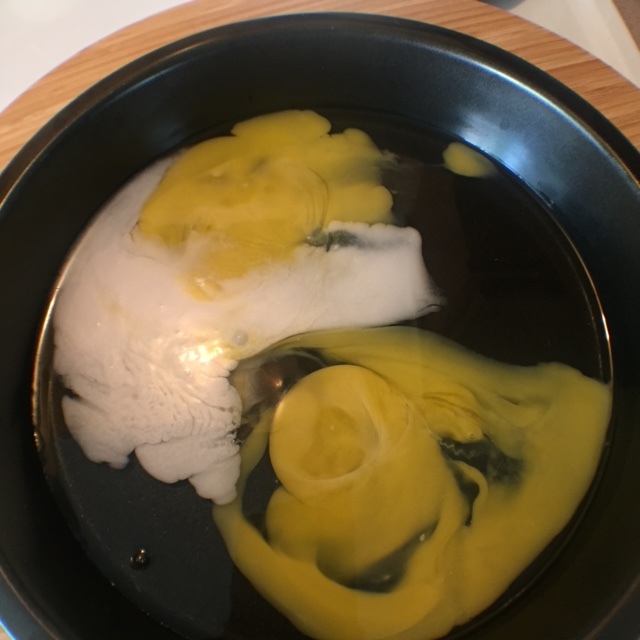 Break eggs into a dish and add coconut milk, and mix together. Heat a large ceramic coated skillet over medium heat. Add 1 to 2 teaspoons of grass fed butter, and melt. 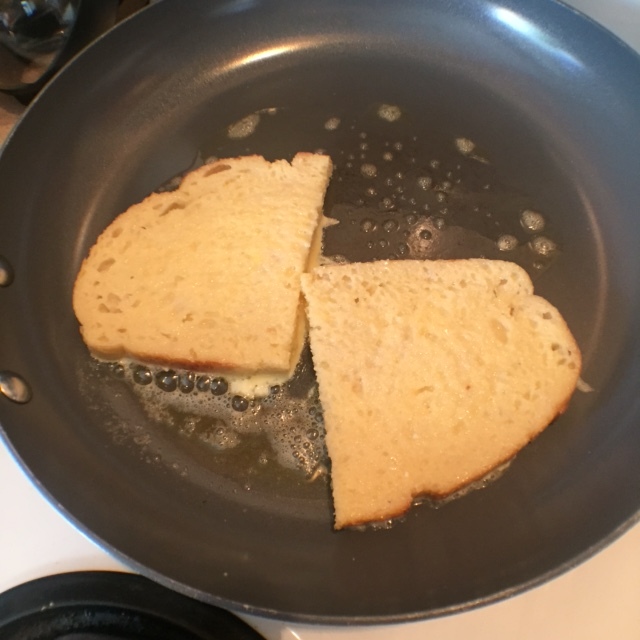 Coat both sides of sourdough slices and add to pan. Cook both sides until golden brown, but not burnt. On individual plates, add 2 slices of cooked bread, and spoon on cooked apples with syrup. Top with 1/4 cup blueberries, pecan pieces, and shredded coconut. Enjoy the start of your day with this all organic breakfast. This entry was posted in Breakfast and tagged Antioxidant, Bacillus thuringiensis, cancer, Food, French toast, Fruit, Genetically modified food, Genetically modified organism, GMO foods, Phytochemical, phytonutrients, Plant foods, sourdough bread, Vitamin. Bookmark the permalink. Tis the end of the summer – how goes it? The kids are now all in school & we’re on a new routine. My son just started college today. Oh – where does the time go? Hey RoSy. All is good, as good can be. Has your son decided what he wants to pursue? Yes time gets away. I ponder now again about that with my boys – they were barely just starting kindergarten yesterday (they are 23 and 19 😐).